PSA outlines 3-stage return to U.S.
Tavares: Selling cars in the U.S. would be the third part of a three-step plan. PSA/Peugeot-Citroen unveiled a 10-year plan that could eventually mean the return or launch of Peugeot, Citroen and DS models in the U.S. market. Still, Tavares’ plan for the U.S. market was pretty scarce of details. It is one part of his broad Push to Pass program outlined Tuesday to build upon a two-year recovery that has seen PSA swing from near-bankruptcy to its highest profitability in 14 years, with the help of a rescue from the French government. PSA has formed a team to study the U.S. market, including customer and regulatory requirements, but selling vehicles in the U.S. would be just the third step in a three-step plan, Tavares said. The first step is “to start as a mobility operator from 2017, possibly with Bollore,” Tavares said. Bollore is a French diversified group that builds batteries and electric compact cars mainly used by a car-sharing program in France called Autolib. Bollore and Citroen are cooperating to launch a production version of the E-Mehari compact EV unveiled in March at the Geneva auto show. This initial move into the U.S. would put the company, which is now calling itself Groupe PSA, into competition with mobility services such as Uber Technologies Inc. and Daimler AG's Car2Go. The second step in PSA’s possible return to the American market could be to “develop mobility solutions using our cars,” Tavares said. He added that the vehicles would be part of a car-sharing or leasing program and would be owned by PSA and not by customers. If the mobility and car-sharing programs show positive results, PSA could return “to sell cars in the U.S. supported by regional sourcing when appropriate,” Tavares said. "PSA will not become a global company if it doesn't come back to North America," Tavares said. "We notice that our main competitors have been there for 50 years, but those who have been there for 50 years are also the ones we are beating in Europe and China." Peugeot operates the Mu and Multicity car-sharing businesses in Europe, which accounted for 62 percent of its auto sales last year. The automaker wants to reduce its dependence on Europe, where the market's decline to a two-decade low for car sales in 2013 in the aftermath of the sovereign-debt crisis prompted a bailout by the French government and China's Dongfeng Motor in 2014. A full return to the U.S. "will cost a significant amount of money," said Sascha Gommel, an analyst with Commerzbank AG. "No one knows the brand, so why would you go for that?" 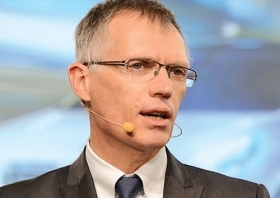 Two years ago, Yves Bonnefont, CEO of PSA’s DS Automobiles near-premium brand, expressed interested in entering the U.S. market via select big cities. “We want to make DS a global premium brand, and you cannot be global without the U.S.,” Bonnefont told Automotive News Europe at the Paris auto show in October 2014. The plan to return to the U.S. was part of a global strategy to sell DS vehicles in 200 large cities worldwide after 2020. The targeted cities would include 30 in North America and 20 in the U.S., Bonnefont said at the time. Bonnefont said a decision to return to the U.S. would come in 2017 at the earliest, and U.S. sales would not begin until after 2020. Tavares has previously downplayed Bonnefont’s ambitions, saying that DS’s entry in the U.S. would have to be part of the company’s updated strategic plan. The revised plan released Tuesday does not include a specific commitment to the DS brand for the U.S.
Peugeot pulled out of the U.S. in 1991. The Citroen brand sold small numbers of privately imported models. The DS brand was never sold in the U.S. and none of its current five models meets U.S. standards.